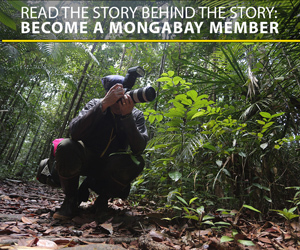 He’d been fielding death threats and insults for years for his activism against a hydroelectric dam project that would take advantage of the Marañón River waters, one of the most important in the Amazon basin. The construction of the 574 feet-high Chadín 2 dam is expected to cause the displacement of around 1,000 people and a series of environmental impacts. Still from video by Peru’s news program Cuarto Poder, featuring Hitler Ananías Rojas Gonzales’ activism. The year is ending on a grim note in Peru: yet another environmental leader that vocally opposed a dam project has been murdered in his home in the town of Yagen, in the country’s Cajamarca region. Hitler Ananías Rojas Gonzales, 34, was shot five times the morning of December 28 as he walked to his house. He’d been fielding death threats and insults for years for his activism against a hydroelectric dam project that would take advantage of the waters of the Marañón River, one of the most important in the Amazon basin. 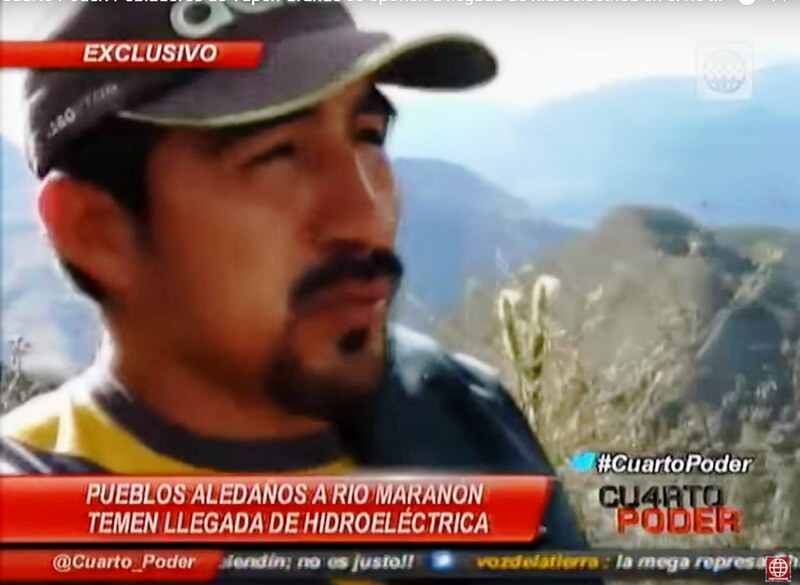 According to the news portal Servindi, the residents of Yagen say Rojas Gonzales had sworn that he would defend the Marañón River with “his own life.” He is said to have staunchly opposed the construction of the 574 feet-high Chadín 2 dam because it would cause the displacement of around 1,000 people and a series of environmental impacts. Chadín 2 is a project of Brazilian conglomerate Odebrecht, currently embroiled in a major corruption scandal over contracts and money laundering. Currently, construction is on hold due to widespread opposition from nearby communities in the regions of Cajamarca and Amazonas, but when it is completed, Chadín 2 is expected to generate around 700MW of electricity, the equivalent of 10% of Peru’s national demand. Odebrecht has two other controversial dam projects under development in the region: Río Grande I and Río Grande II. According to neighbors, Rojas Gonzales was not intimidated by the threats he received from alleged supporters of the dam project, so he never took any precautions and he always got around by himself, without bodyguards. At the time of his murder, he was president of a local peasants’ organization, vicepresident of a community group opposed to the dam, and he had just been elected mayor of Yagen. There are plans to build 151 new dams in the next two decades in Peru, more than in any other Andean country; all of them in five of the six Amazon River tributaries in the country. A 2012 analysis by researcher Matt Finer concluded that 47% of future dams would have a high environmental impact, and more than 80% of them would encourage more deforestation due to road construction and flooding. If plans for Chadín 2 continue undeterred, it is estimated that impacts will be felt beyond the immediate area, in indigenous communities such as the Awajún, and in changes to the biodiversity further downstream in the Amazon region. 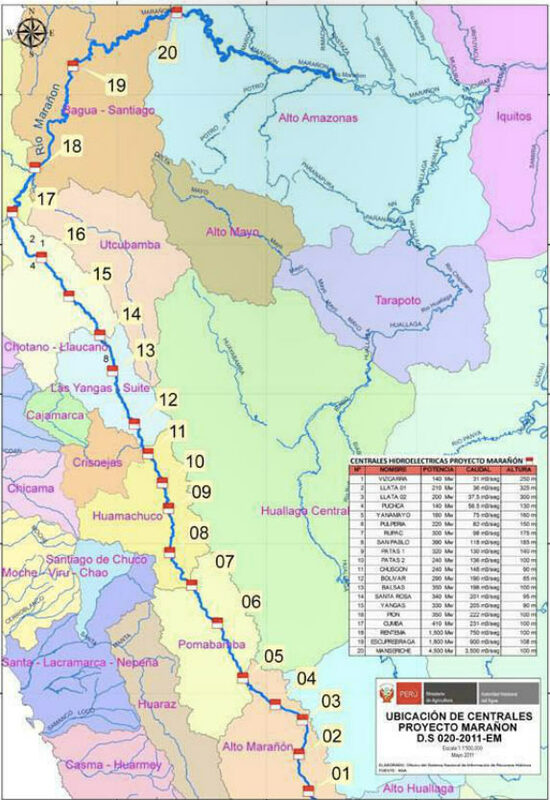 A map showing the 20 dams presented in 2011 by Supreme Decree for the Marañón River by the Peruvian government. Map credit: Peruvian government. Click image to enlarge.